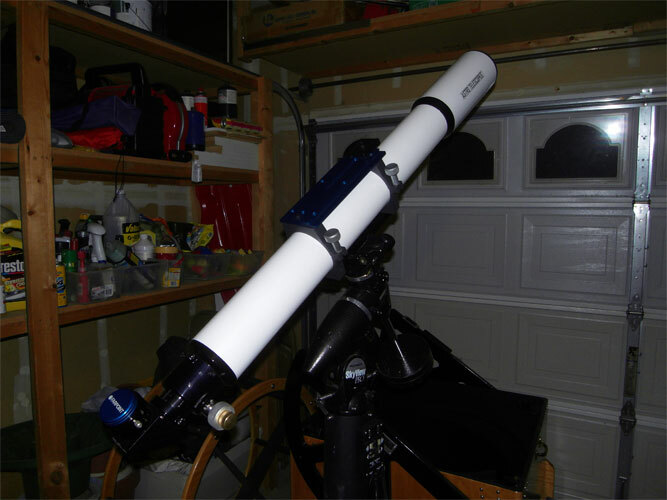 22" f/4.0 with Pegasus Optics. The original intent for the black knobs on the bearing was to allow removal of the bearings for transport of the mirror box in a trunk of a sedan. 22" f/4.0 sitting on a prototype Crossbow platform for the first time ever. Used it and it works great. Tracks for 60-70 minutes and runs on a 9-volt battery, which last 12-14 hours per battery. 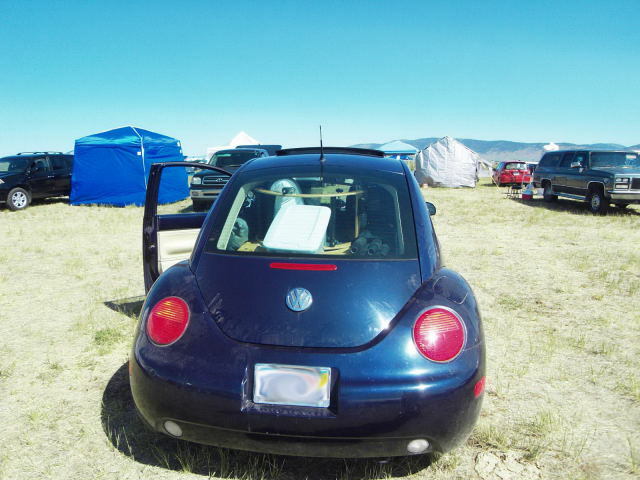 The 22" reflector packed in the Volkswagon New Beetle vehicle. Left rear: Rocker box and mirror box with the upper cage. Front: Various cases of eyepieces, books, etc. 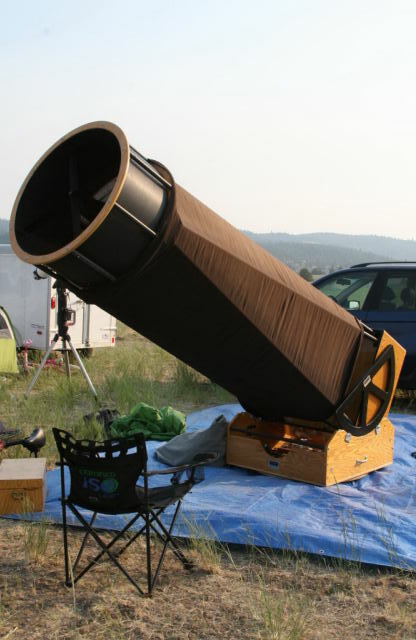 My setup at Golden State Star Party 2009 Everything here plus tent goes in the VW Beetle in the background. Blew me away when I was able to pack everything in the car. I even had some folks walk by and asked me, "Where is my motorhome?" Packed at Golden State Star Party 2009. Everything! Whoa! 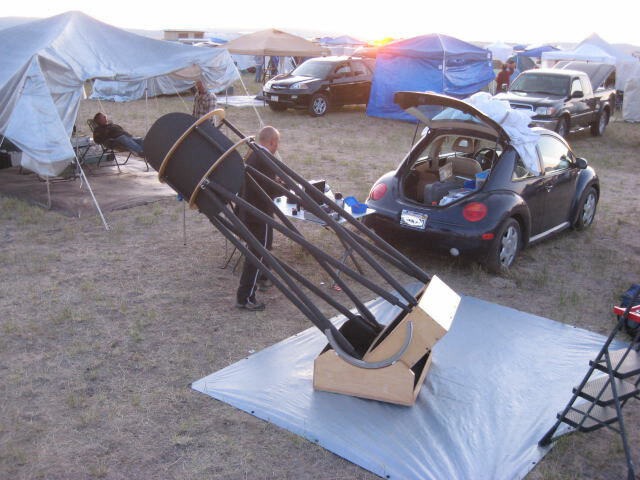 30" f/4.3 reflector at Texas Star Party 2006. 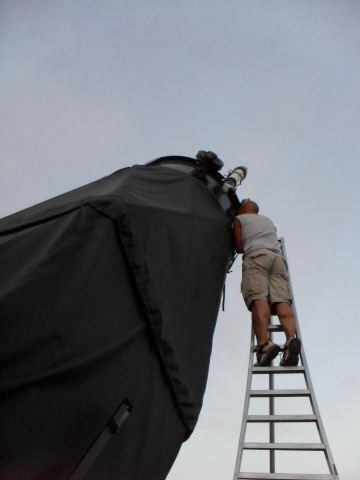 SkyTracker GOTO System powered by Sky Commander. There is a larger scope behind me to the right. 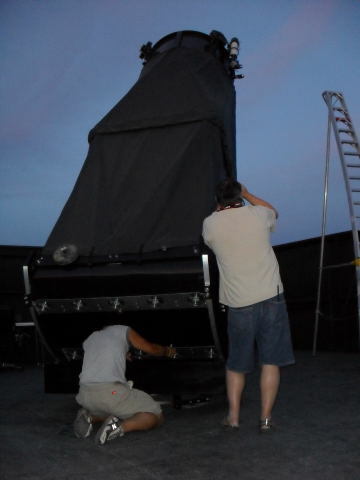 That is Larry Mitchell's 36" f/5 Obsession. Looks small as it is 75 yards away. 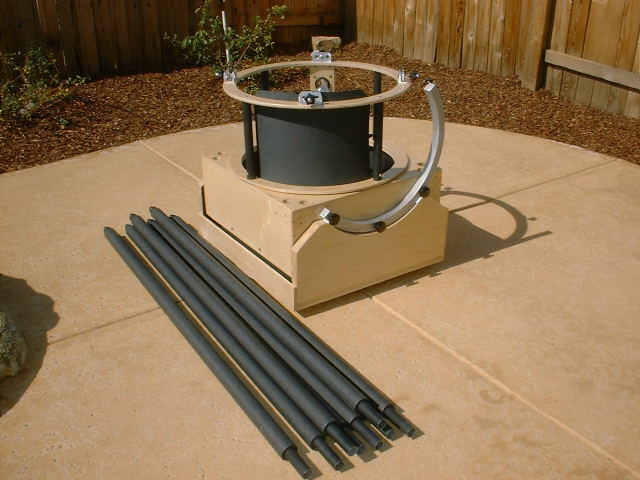 Here is a good read of the construction of this telescope. Here is a sampling of what we observed through this telescope. 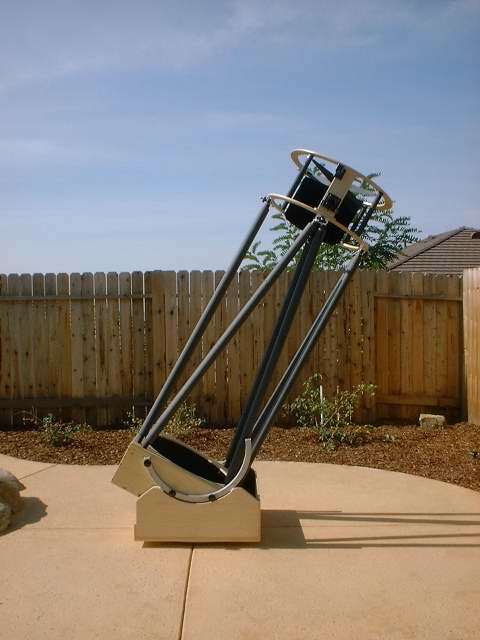 AstroTelescopes 4" f/11 "Planet Killer". The optics on this thing is actually very good. 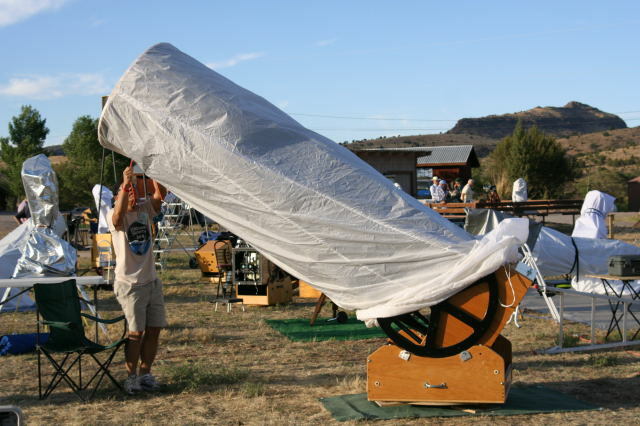 The optics shows very little color at bright objects, such as Jupiter. But for very bright objects, such as Venus, the color is evident but a lot less than most achromats, but I can see color in many apos as well. I was a little surprised that I was able to use 450x on Jupiter at GSSP. The seeing was incredible and the view as astounding for a 4" telescope, but of course my 22" at full aperture was even better. The focuser is rotatable and has the best non-Feather Touch focuser I've ever used. 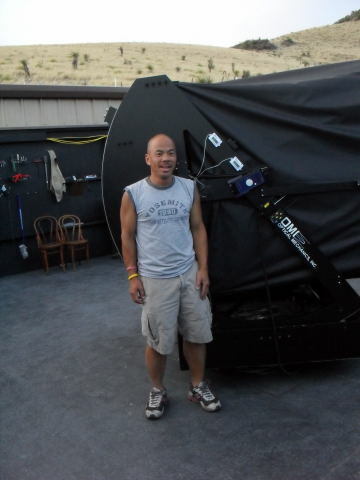 Better than the Takahashi or TeleVue focusers. 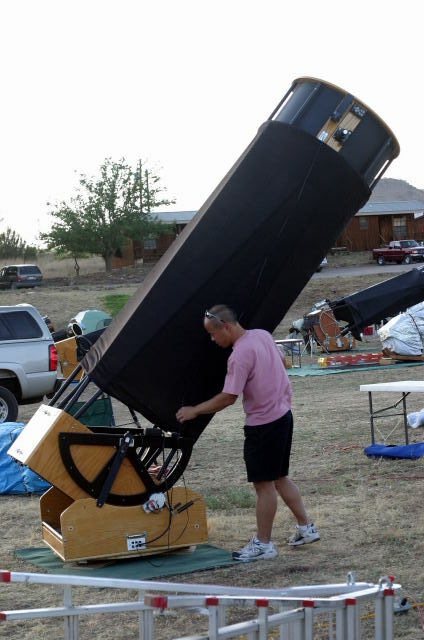 It won't carry a 8 pound CCD camera, but it isn't designed to.